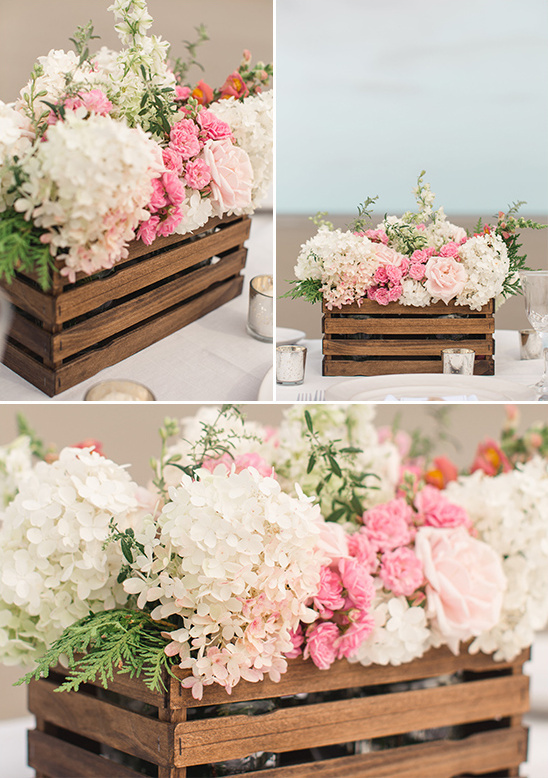 If you are in love with those old fashioned apple crate centerpieces you have been seeing everywhere? 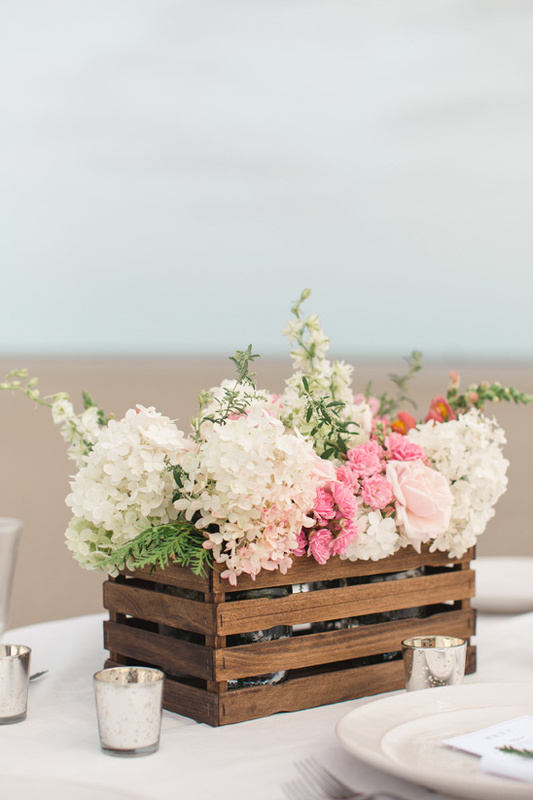 Well guess what, Jenn from Build-Basic, is here to take you through the steps to your own dream centerpieces yourself! 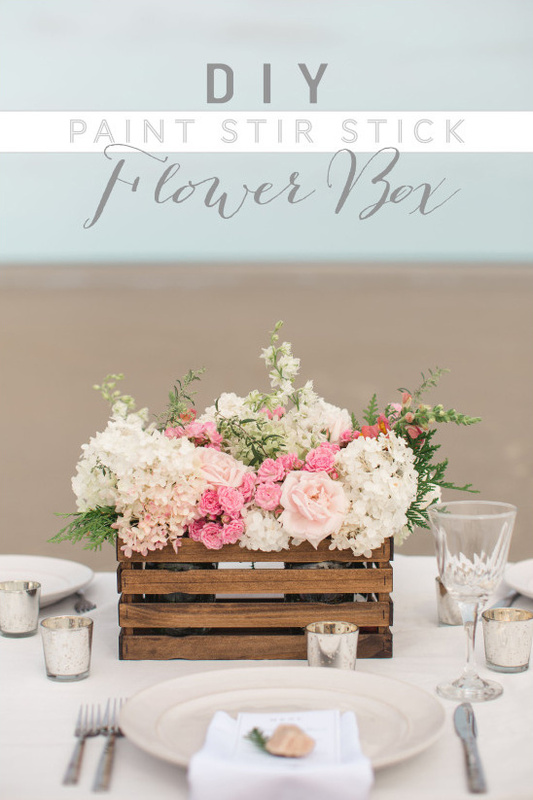 This DIY paint stir stick flower box is surprisingly simple, plus we even give you the bouquet recipe for the fab florals she filled them with! 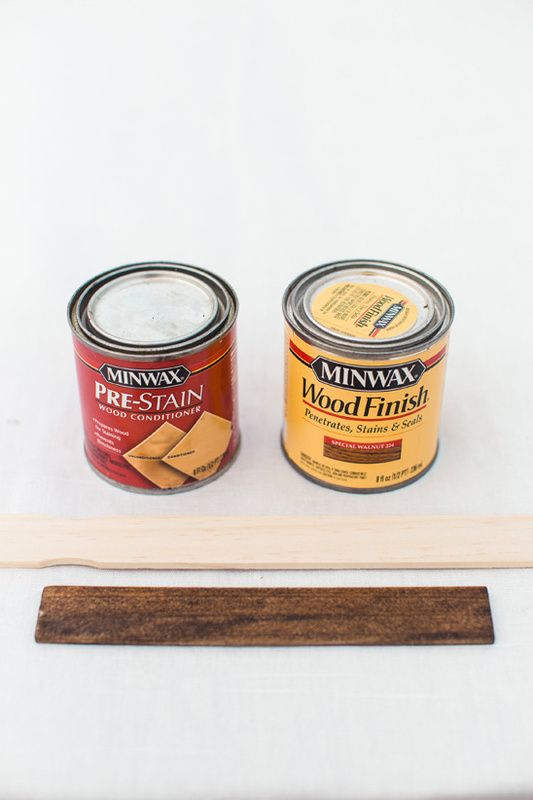 Step 1:Cut paint sticks and square dowel to size using the cut list below, then stain them. 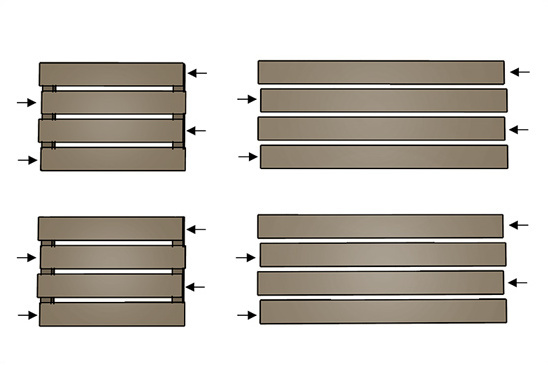 Step 3:Create a cleat for the floor slats to attach to, glue, and staple a square dowel along the inside of each assembled wall, flush with its bottom edge.Step 4:Lay long slats across the dowels, alternating their overhanging ends as shown in the diagram. 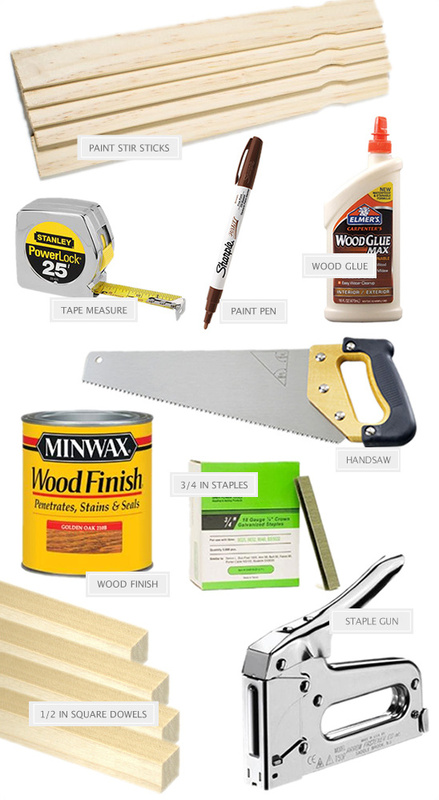 Apply glue and staple. 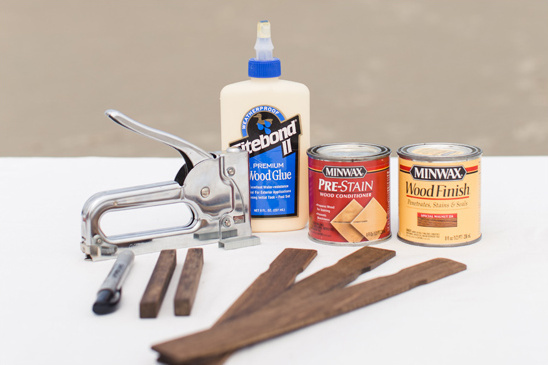 Paint over exposed staples with paint pen.Step 5:Create the base of the flower box, lay the 11¾ inch paint sticks onto the interior cleats. 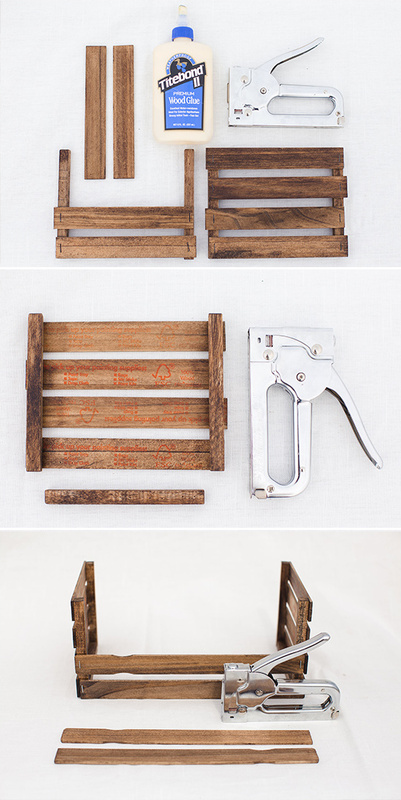 Space them evenly, glue and staple them in place. 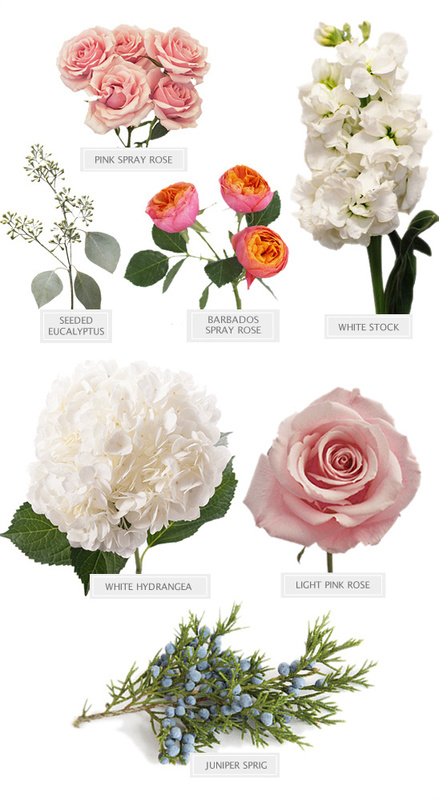 Now it's time to fill your cute new flower box with a fresh centerpiece, and we have just the recipe for you!